I have a brand new Dell Inspiron 15 (5559) laptop with an Intel Skylake i7-6500U CPU and an AMD Radeon R5 M335 graphics card. 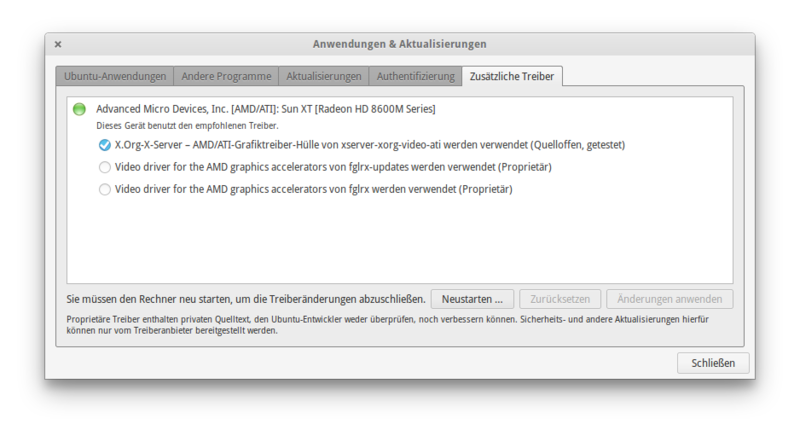 So far I have used the Xorg open source drivers for AMD cards that came with freya, although the system mistakenly identifies the graphics card as being an AMD Sun XT (Radeon HD 8600M series). 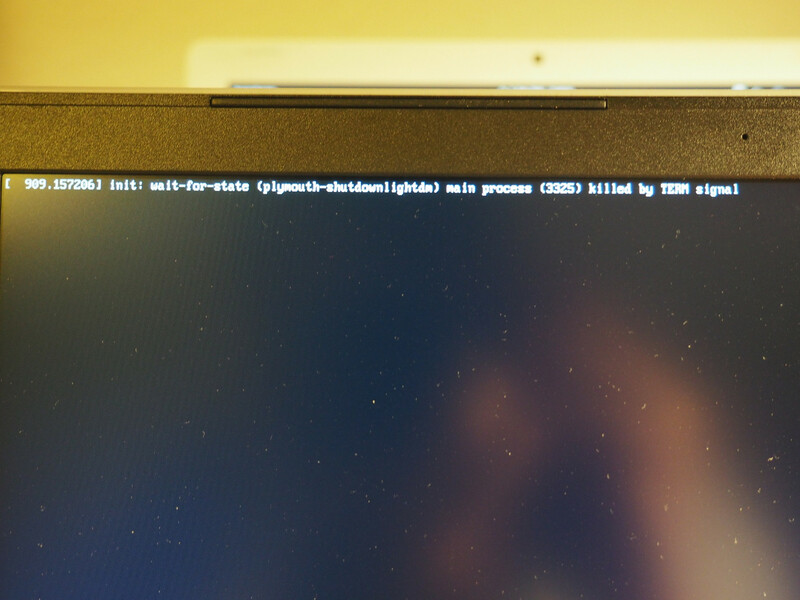 When I switched to the proprietary fglrx driver that shipped with the system, I could merely boot into a black screen with a colored line at the top. 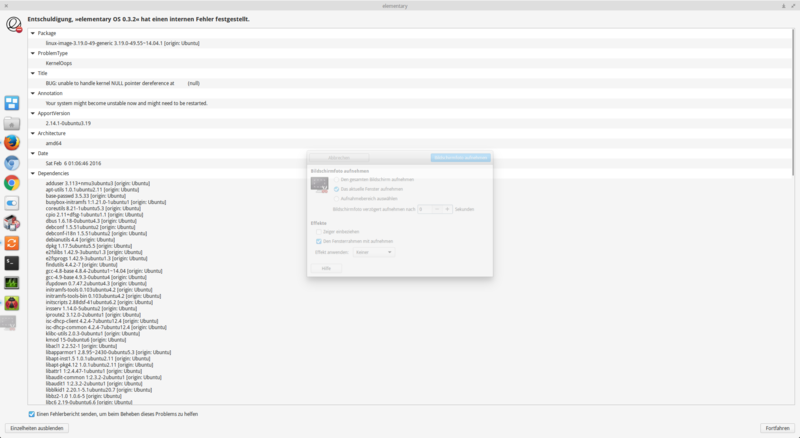 The problem also occurs at logout, but in this case the process stops at the screen in the first picture. Now I have experienced the shutdown/logout to stop at the first graphical glitch without going to the output screens, too. In that case, I have to force quit and power down by holding the power button. The entry under "Unreportable Reason" (strangely the only one in German) translates to: "This is not an official elementary package. Please remove all third-party packages and repeat the process"
So the problem might as well be related to the Intel graphics chipset that apparently is run right now? The only problem is that now there are some random graphical glitches appearing from time to time. It is kind of annoying, but doesn't affect functionality in any way. I guess the drivers for Skylake graphics aren't fully developed yet. 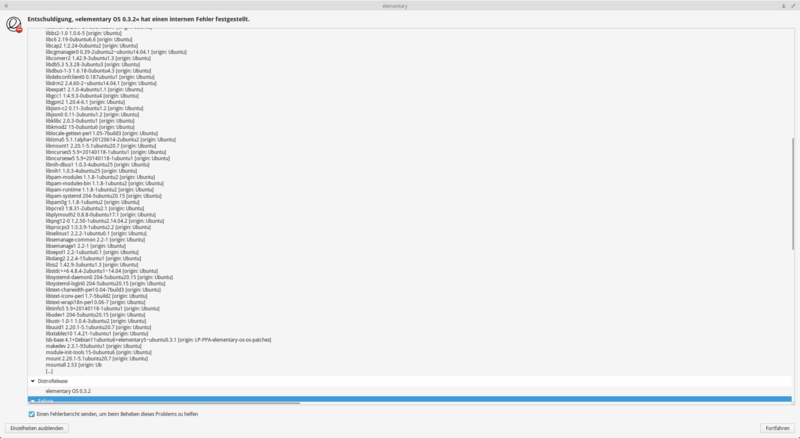 OK, so the problem can be solved much easier than installing a new kernel - namely by activating the proprietary drivers for AMD Radeon graphics card (called fglrx). 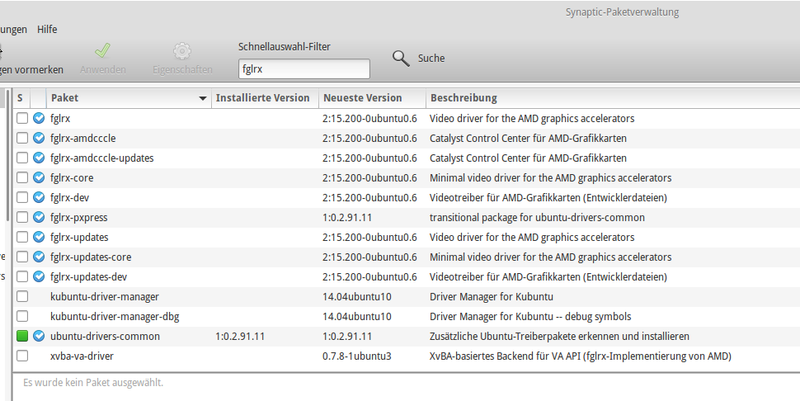 You can choose between fglrx and the open source xorg drivers in the additional drivers tab of the update settings. After fglrx has been installed, the problem doesn't occur anymore. 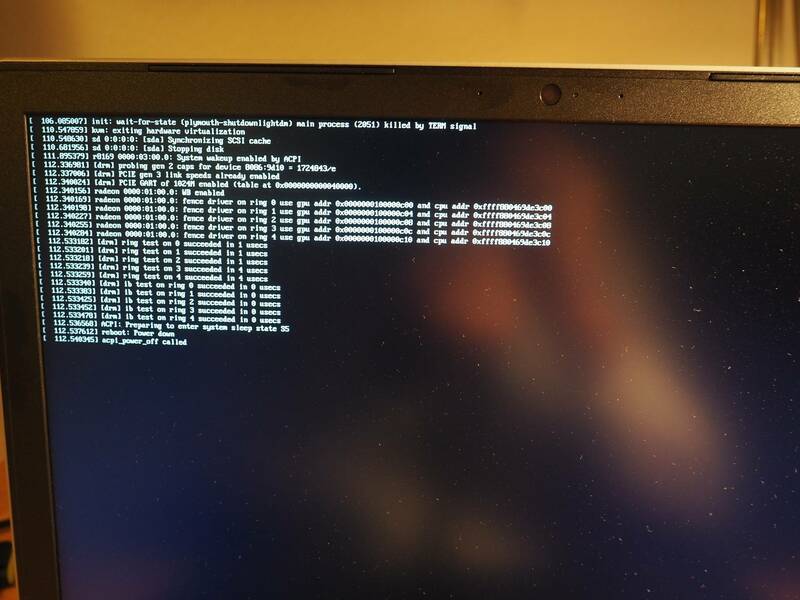 So it looks like either the Xorg drivers - which are activated by default - do not work with an AMD Radeon M335, or the problem is the Intel Skylake graphics chipset because the AMD card isn't detected/activated at all without the fglrx drivers (this might be the case because when I ran "lspci -nnk | grep "VGA\|'Kern'\|3D\|Display" -A2" the AMD Radeon card wasn't detected at all, but I can't tell for sure). Not the answer you're looking for? Browse other questions tagged release-freya graphic-drivers shutdown or ask your own question. 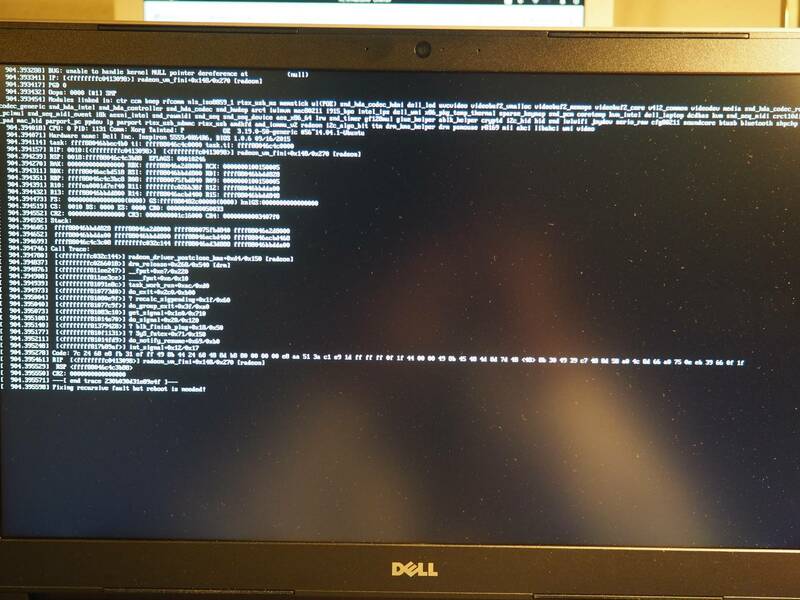 elementary OS freezes when trying to reboot / shutdown? Is elementary freya 0.3.2 (resp. 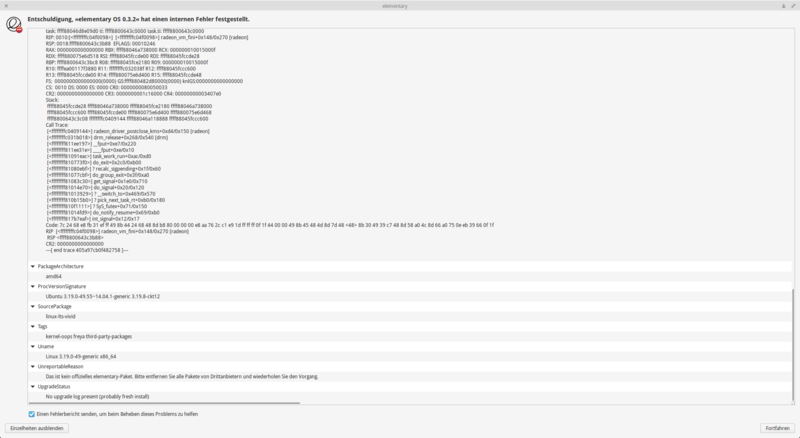 Ubuntu 14.04 LTS) compatible with the AMD Radeon R5 M335 graphics card? AMD Radeon R5 M335 GPU not detected correctly?